Betspawn is a relatively new betting site like many other sites who mainly focus on esport betting. They launched their site in 2016 and has since then managed to build a stable platform for esport betting. 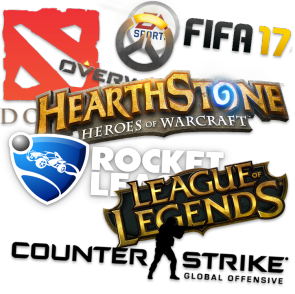 The number of esport games available for betting is big, they offer great bonuses and a deliver a well-designed website. We at fragbetting.com recommend Betspawn as a serious betting platform and believe you will be happy with the gambling experience they have to offer. If you want to read more about Betspawn, look further down the page for more information. Looking for bonuses? Read more about bonus offers at Betspawn here. As mentioned earlier, the range of esport games you can bet on is enormous. 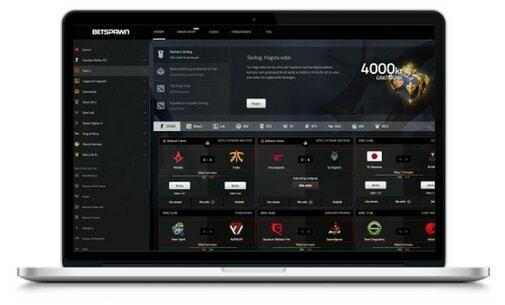 Betspawn offers all the esport games you can imagine available for odds betting. However, this does not mean that you always can bet on every game. The availability depends on demand, if there are any major tournaments or games going on. But some games are almost always open for odds betting, like fore example csgo match betting. We quickly became very positive when we checked out the bonuses offers at Betspawn . We can guarantee that you receive one of the best bonus offers among all esport betting sites if you choose to open a account at Betspawn. Do note that bonuses such as first deposit bonuses only apply to new opened accounts and not to those who have existing gaming accounts. As a new customer at Betspawn you get a very good welcome bonus. It's common to receive welcome bonuses at first deposit on many operators, but at Betspawn you get deposit bonuses on not only your first but your first 3 deposits! This means you get 100% / 50% / 25% extra on your 1st / 2nd / 3rd deposit. The maximum amount you can get in bonus is € 133.7. So if you make a deposit of € 133.7 you get a total of € 267.4 to play for. Before your able to withdrawal the money, you need to meet the wager requirement of x12 times the deposit. So if you deposit € 100 you need to wager a total of € 1200. It's important to remember that wagering is only possible on odds above 1.70. In addition to the deposit bonuses, there is also a so-called Winboost bonus which is an interesting bonus concept. This bonus get's activated when playing multiple games at the same time. So if you like to combine your bets with several different games this is the perfect bonus for you. You can get up to max 30% in bonus on your winnings by adding combo bets. This means that the more games you play, the bigger the bonus boost you get. See the winning table and how Winboost works under bonus terms. When entering a live game, you can access the livestream by clicking the tab called Stream, this gives you an overview of all available streams for this game. There might be some languages that may be irrelevant to you, but there is something for everyone at least. Depending on what game is playing, you will have access to various possibilities for live betting similar to what you find at, for example, ggbet. Since the operator has not been active for very long, there is not much history to share about the betting company. They also seem a bit secretive about who's behind the company as we don't find any about us or similar information page. However, we do not hesitate that this is mainly due to the company's young age and that eventually, they will become more transparent with those behind the site. If you find it important to be able to easily access your results and play through the mobile, Betspawn will certainly fulfill your needs. You can choose to either play through their mobile application that can be downloaded both on Android and Iphones. Or, you can choose to log in and play through the mobile browser. We recommend downloading their application to avoid possible bugs for the mobile browser. Betspawn is a licensed gaming company that have their gaming license through Curacao egaming no. 142262. This means that they comply with the laws and regulations included in order to be registered as a igaming operator. Therefore, you can trust that information and transaction details for deposits and payments are handled with highest level of security. When it comes to communication and support, there are two main channels which by you can contact the company, unlike most other operators who usually have 3 different channels to communicate by. However, at Betspawn it's through email and chat you get in contact. We tried reaching out through the chat which resulted taking little longer than expected, but this might just have been a rare coincidence. But, we still recommend sending email if you want to avoid having to actively wait for replies. When your going to make deposits and withdrawals, you have access to the most common methods such as Visa, Mastercard and Bank Transfer. But something we really like to see at fragbetting.com is that they also offer Skinpay. If you don't know what Skinpay is, it's a method that gives you the opportunity to make deposits by exchanging skins from games such as CSGO, Dota 2 and PUBG. These skins are exchanged into real money you then can bet for, read more about Skinpay here. To make summarizing conclusion for Betspawn's esport betting site, we give the operator 4/5 stars as a betting operator. There is no major complaint, but when comparing the site to big competitors which also mainly focuses on esport betting, Betspawn is currently in the shadows behind the more established ones. Even though there are some bigger ones out there, we still strongly recommend Betspawn and we certainly hope to see the brand come forward more within the esport betting scene.